A fully researched and rewritten guidebook to this most hallowed of cliffs. 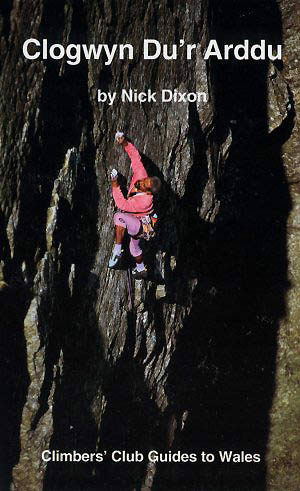 Although the author Nick Dixon is famed for his very hard first ascents and repeats, he has also sought to raise the profile of many of the easier classics. Instead of the usual Historical, the extended Ascents Anthology has been expanded further with historical commentary by the author and numerous quotations and opinions on the routes from a number of current and recent Cloggy enthusiasts. For the first time, a Climbers' Club guide, is printed in full colour, enabling not only colour photos and several of the photodiagrams to be placed adjacent to the route descriptions they illustrate, but also some discreet colour coding in the text.